In the past decade one trend in neuroscience has been to switch away from using simple, controlled experiments, and instead to study how the brain reacts to more complex, natural situations. Alex Huth will talk about one experiment in which subjects listened to hours of natural, narrative stories from The Moth Radio Hour while undergoing fMRI scanning. In order to take advantage of this complex, uncontrolled data, we must use sophisticated computational modeling techniques. The result is a detailed map of how the meanings of words are represented in the human brain. Surprisingly, these maps are also highly consistent from subject to subject. 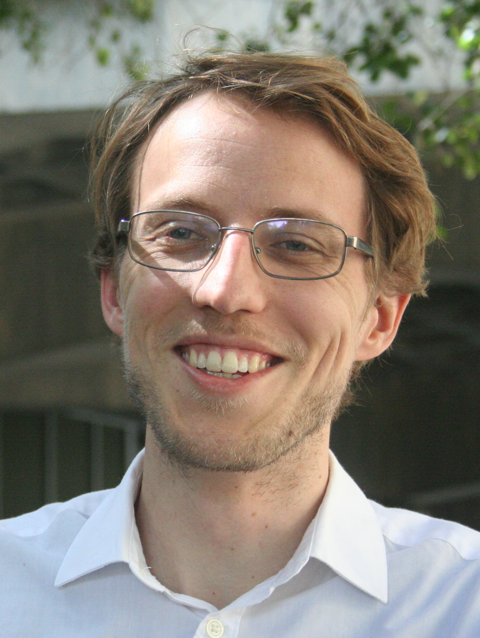 Alex Huth is currently a neuroscience postdoc in Dr. Jack Gallant’s laboratory at UC Berkeley, where he does work in computational and experimental neuroscience using fMRI. His research is focused on how the many different areas in the human brain work together to perform complex tasks such as understanding natural language. He uses fMRI to measure brain responses while subjects do real-life tasks, such as listening to a story, and then uses those data to build computational models of how the brain functions. He will be joining the University of Texas at Austin faculty in fall of 2017.